I usually feature contemporary writers in this column, but for a change I thought I would include a writer who has influenced me more than any other. 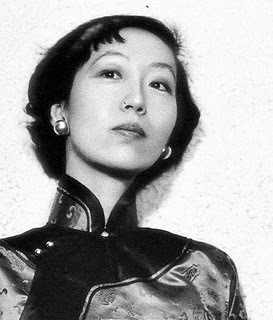 Eileen Chang was born in Shanghai in 1920 and died anonymously in California a day before my birthday in 1995. Her fiction includes Red Rose, White Rose; Love in a Fallen City; and Lust, Caution, among many, many others. Chang often wrote about troubling relationships between men and women, usually set in 1930s and 40s Shanghai and Hong Kong. I first learned about her work through the film Red Rose, White Rose, which I saw in Shanghai the summer Chang died.